Up to 20 more victims of alleged abuse involving scouting organisations have come forward in less than two days. Scouting Ireland is at the centre of controversy after a review of historical allegations of abuse found evidence of 71 suspected perpetrators and 108 victims. Fears have been raised that the number alleged abuse victims could grow substantially after the revelations at the Oireachtas Children Committee on Wednesday. Scouting Ireland has been contacted by several more possible victims in the less than 48 hours since. The organisation said it has been "busy but not overwhelmed" by calls and also said it did not have the resources to fund a potential redress scheme. Most of the alleged abuse cases date from the 1960s to 1980s. Scouting Ireland said none of the alleged abusers were still working with the organisation and most were deceased. Reports have been made to the Garda and Tusla in relation to alleged abusers. A statement from the organisation added that "all contacts are being responded to immediately". The statement also said: "In terms of a redress scheme, Scouting Ireland as a voluntary organisation does not have the resources to fund such a scheme". It said the organisation had "ring-fenced funds to provide counselling support to alleged victims". Garda Commissioner Drew Harris said: "We've been involved in the review right from the beginning. "Obviously, the figures are in the public domain, but inevitably there will be more victims than what is already recorded. "The experience in our jurisdictions is that there will be multiple victims who are considering now whether to come forward or not. "I wish to encourage them to come forward and make contact with our protective services and review team. We'll then follow through and investigate these allegations. "If complaints are made they will be investigated and followed through. We have invested in our protective services review so that there are specialist offices well equipped and trained to deal with these sorts of incidents." 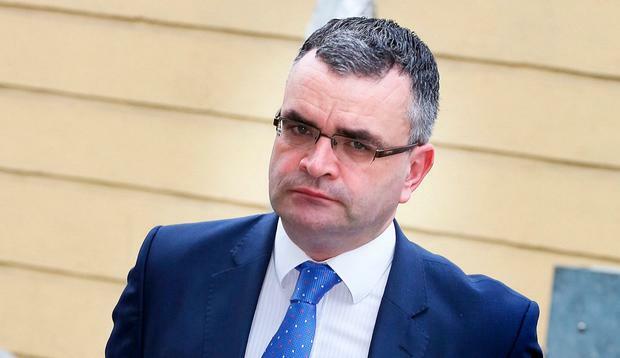 The alleged abuse cases were raised in the Dáil by Fianna Fáil TD Dara Calleary. "They were much younger when they suffered the initial abuse, but may not have come forward with their story and are holding on to what happened to them," he said. "Indeed, they have held on to it for many years." He said having support, including access to counselling, would help people come forward. Justice Minister Charlie Flanagan said he was "appalled at the allegations of historical abuse allegations that have emerged at Scouting Ireland". "The appropriate authorities will engage in the necessary investigative work." Scouting Ireland announced a helpline, at freephone 1800 22 11 99. Emails can be sent to safeguarding@scouts.ie. The organisation's new chairperson, Aisling Kelly, previously issued an apology for the hurt caused by some past members of Scouting Ireland and preceding organisations.